Found 14 file extension associations related to ThumbsPlus and 14 file formats developed specifically for use with ThumbsPlus. 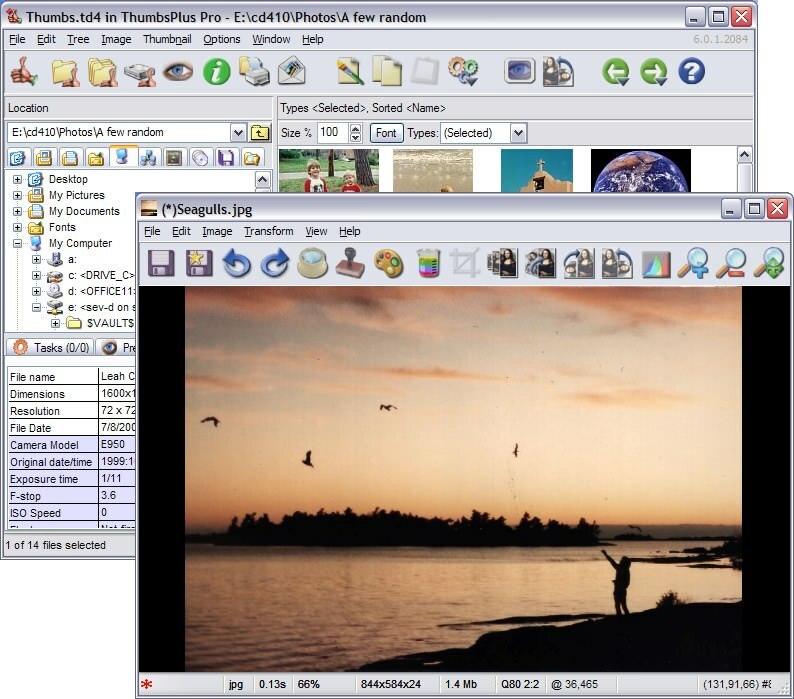 Developer / company: Cerious Software, Inc.
ThumbsPlus is a highly customizable image database with thumbnails and batch editing. It makes it easy to catalog, organize, locate and maintain all of your graphics, multimedia and font files. It runs on Windows 2000, XP, 2003, 2008, Vista and Windows 7. Both 32 and 64-bit versions of O/Ses are supported. If you need more information please contact the developers of ThumbsPlus (Cerious Software, Inc.), or check out their product website.